The history of magic is as long as time and as wide as the world. In every culture, in every age, in every place and, probably, in every heart, there is magic. Harry Potter: A History of Magic reveals some of the hidden stories behind real-world magic and explores some of J.K. Rowling's magical inventions alongside their folkloric, cultural and historical forebears. Narrator The history of magic is as long as time and as wide as the world. In every culture, in every age, in every place and, probably, in every heart, there is magic. 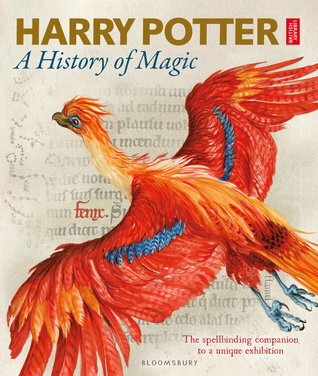 Harry Potter: A History of Magic reveals some of the hidden stories behind real-world magic and explores some of J.K. Rowling's magical inventions alongside their folkloric, cultural and historical forebears. Narrator Natalie Dormer and a host of experts will take you on an audio journey like no other; from ancient China, to a 14th-century apothecary's shop, on to the Salem witch trials and beyond. They delve into a rich body of writings about magic and explore intriguing artefacts to bring to life deep-rooted ideas of mysticism from around the world. Along the way, you can listen for handy tips on how to capture a basilisk, make yourself invisible or create your very own philosopher's stone. You'll hear about the dozens of drafts and drawings that went into J.K. Rowling's writing process and enjoy exclusive interviews with Jim Dale, Stephen Fry and illustrator Jim Kay, who all share their experiences of working on these incredible stories. The extraordinary and thought-provoking tales in this audiobook are perfect for anyone who wants to know a little more about magic and the wizarding world. Want more? Check out the audio tour which accompanies the British Library exhibition "Harry Potter: A History of Magic Exhibition" held at the New York Historical Society, from Oct 5, 2018 - Jan 27, 2019, by navigating here. In the tour, Natalie Dormer guides you through the history and significance of a selection of our favorite magical objects on view at the exhibition along with special contributions from Margi Hofer, Dr. Agnes Hsu-Tang, Jim Kay, and Roberta Olson.